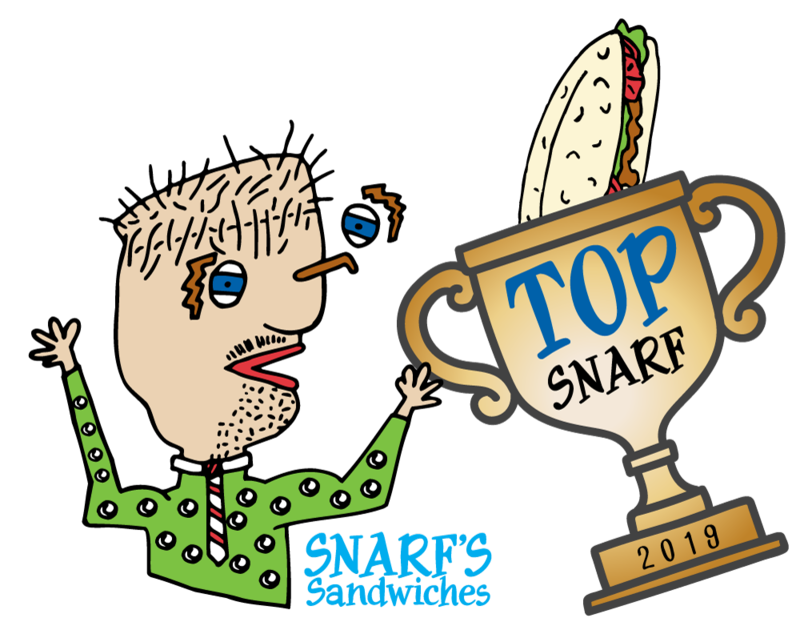 Snarfs Sandwiches presents the Top Snarf Award – Enter to Win a chance to have Your Sandwich featured on the Snarf’s Menu — plus receive FREE Snarf’s for a Year! 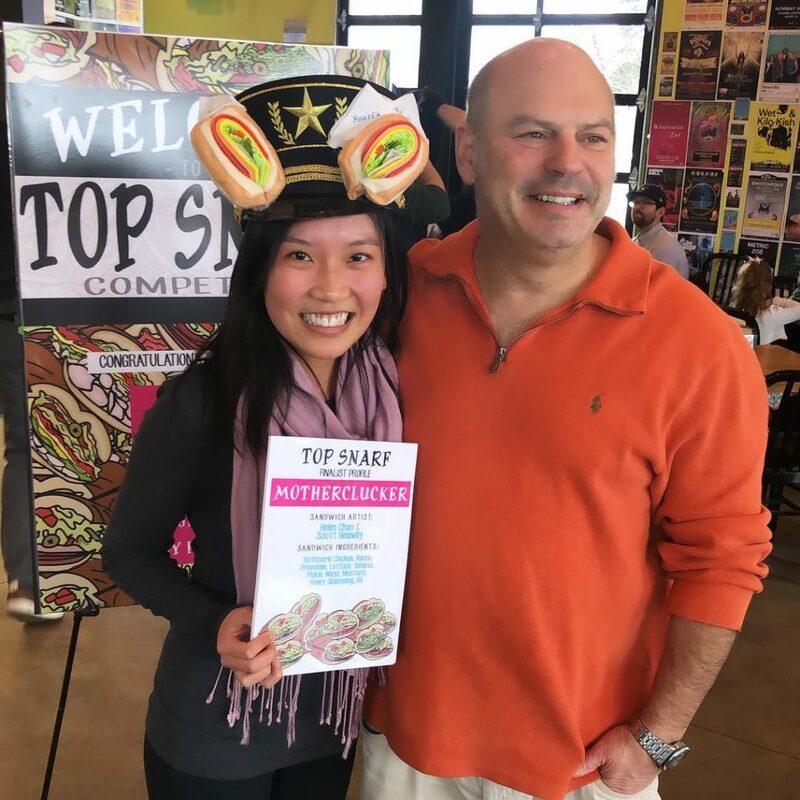 Snarf’s Sandwiches presents the “Top Snarf” Award! 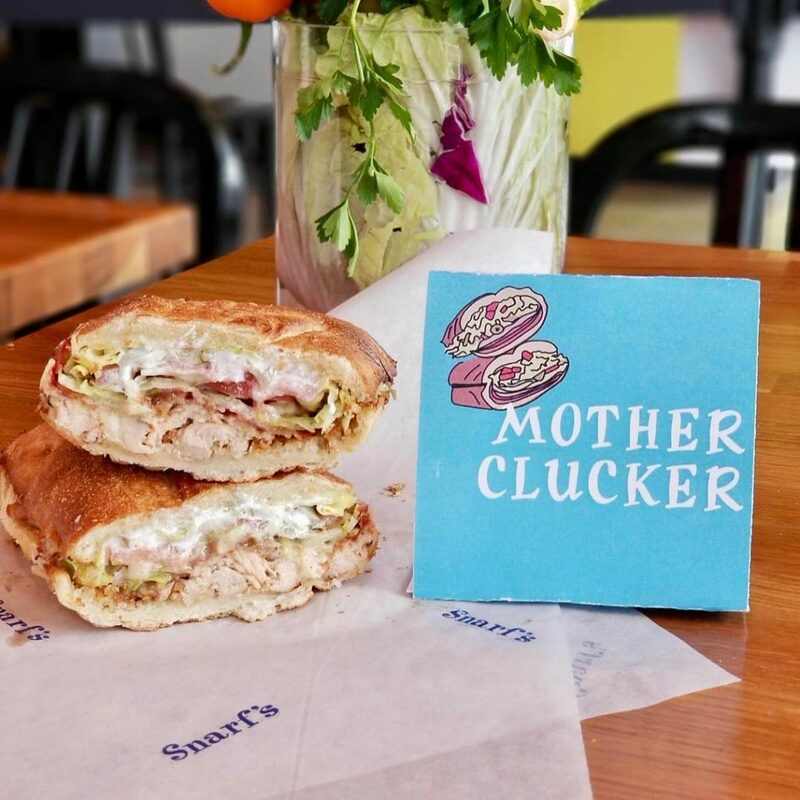 Congratulation to Helen C. for winning the Snarf's Sandwiches “Top Snarf” Award contest with her Mother Clucker creation! 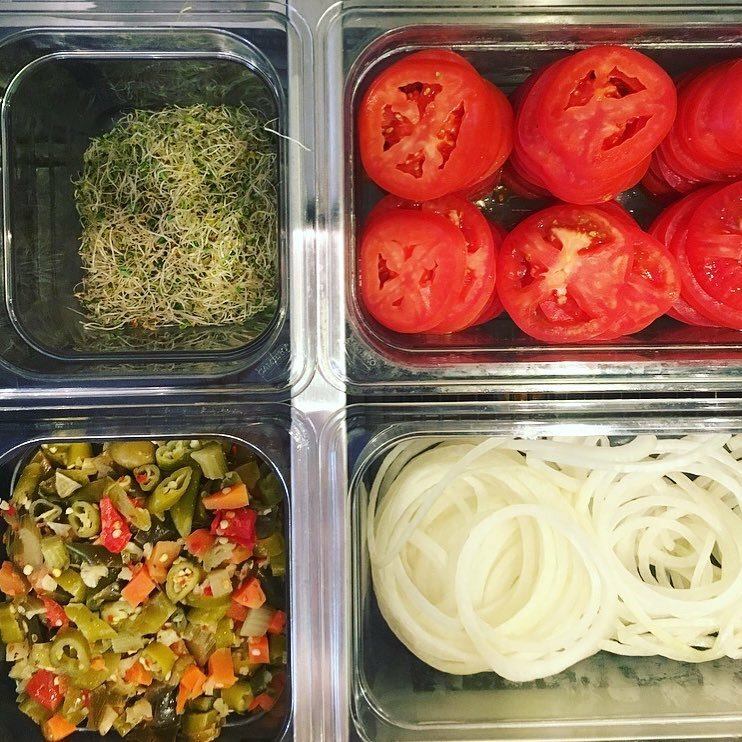 Helen’s sandwich is newly added to our secret menu. This sandwich is loaded with rotisserie chicken, bacon, lettuce, tomato, pickle, mustard, honey, and seasoning & oil. Create your sandwich entry below. Remember to include all items and give us a short explanation on how we should make it in our test kitchen! The entry period for the Snarf's Sandwiches “Top Snarf” Award contest has concluded. The form below no longer accepts entries. Anything else we usually have on hand? Name your sandwich. What should we call it? Sandwich Recipe. How should we make it? With your entry we’ll also add you to our Snarfer Nation eClub. You can opt out at any time. 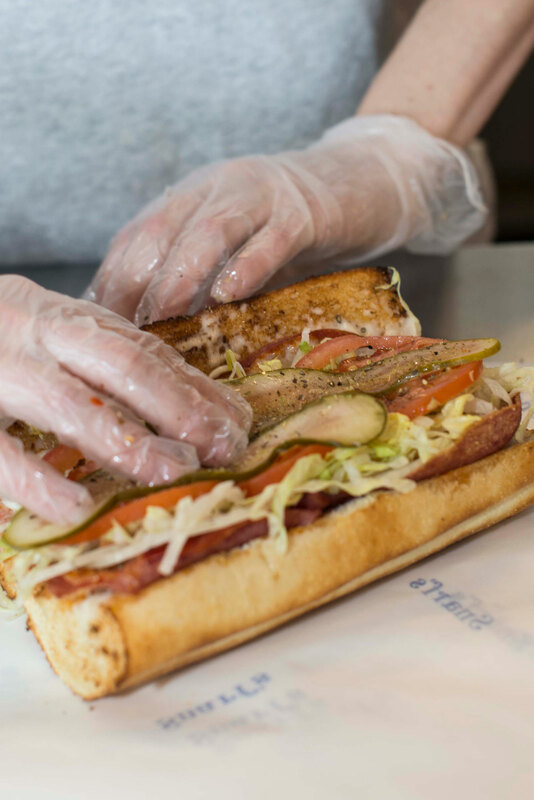 © Copyright 2019, Snarf’s Sandwiches. All rights reserved. The “Top Snarf” Contest Official Rules.